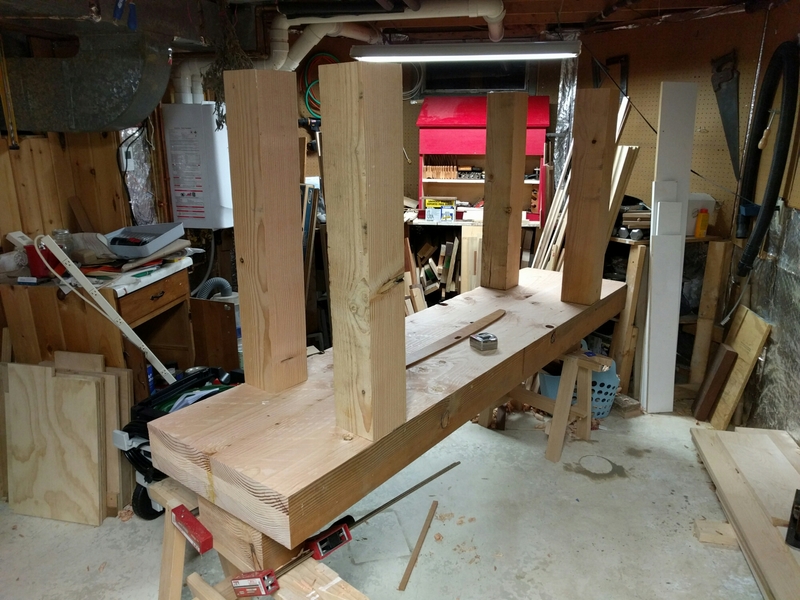 Got the top joined — it’s two 12×6 beams, came in at 22″ wide and just shy of 8′ long. 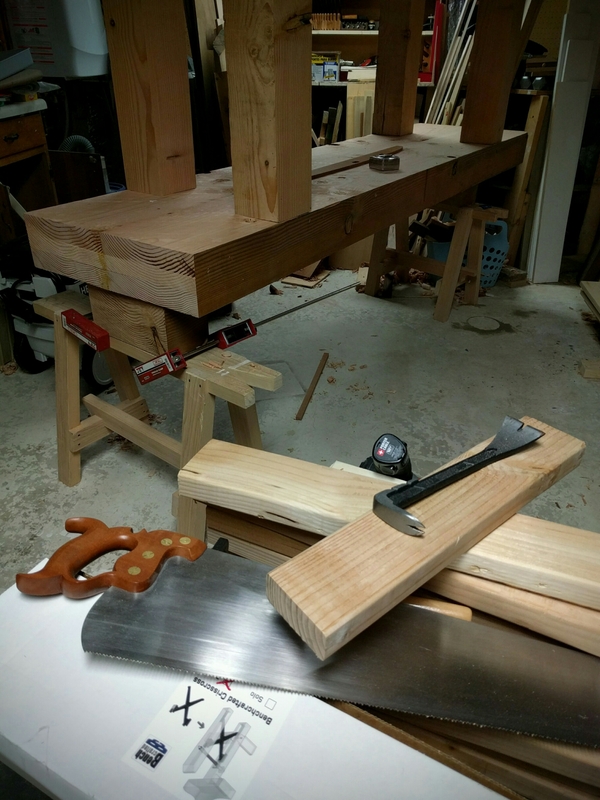 Doing an edge joint that long across 5″ is … fun. Lots of flipping the top up with the help of my lovely wife, checking the fit, flipping it back down, planing out some spots, flep it again, check… Took a good hour to do the final fitting. I put the leg blanks on to start figuring out which one will go where.